A 20% deposit is required to reserve your space. A second payment of 30% is due 4 months prior to the first land day of the trip and a final 50% payment is due 2 months prior to the first land day of the trip. Payment is accepted as follows: 1) U.S. Dollar check made payable to Access 2 Tanzania, 253 Duke Street, Saint Paul, MN 55102 or 2) by wire transfer to our account in Saint Paul, MN or 3) by credit card as processed by our office in Saint Paul, MN. The price quoted is based on current park entry fees, camping fees, concession fees and government regulated VAT. If these government regulated fees should go up, the total cost of the itinerary will go up accordingly. The price quoted assumes the following conservation fees (valid from July 1, 2016): Arusha, Tarangire and Lake Manyara National Parks ($53.10/adult and $17.70/child); Serengeti National Park ($70.80/adult and $23.60/child); Ngorongoro Conservation Area ($70.80/adult and $20.60/child plus $300 per vehicle for each descent into the Crater). Selous Game Reserve ($88.50/adult and $64.90/child inclusive of conservation fee); Mikumi, Ruaha, Rubondo and Udzungwa National Parks ($35.40/adult and $11.80/child); Mahale National Park ($94.40/adult and $35.40/child); and Gombe National Park ($118/adult and $23.60/child) All fees are per person per 24 hour period. Child fees are applicable to children under the age of 16. The above-noted accommodations will be immediately booked and confirmed upon receipt of payment and/or a signed contract. In the unlikely circumstance that, by the time A2T tries to confirm and book, the rooms are no longer available, A2T will allow the traveler(s) to give input on the selection of alternate locations. The total price may be adjusted as a result. Traveler is advised to review the websites of the above-noted accommodations and/or to search for and read online reviews. While we do our best to recommend and accurately describe the best accommodation choices for your situation, A2T cannot be held liable when the traveler’s expectations differ from the actual accommodation. Should a traveler arrive at an accommodation and find something unacceptable, A2T will assist with the identification of a new location, but the costs will be billed to the traveler’s account. If the accommodation has a defect that the traveler believes warrants a refund, A2T will aggressively pursue a refund on traveler’s behalf. If after this contract has been completed the traveler wishes to change the itinerary, Access 2 Tanzania will endeavor to accommodate you wherever possible. However should cancellation fees be levied by our suppliers these will be charged to you. After a contract has been signed, any change requested by the client will result in a change fee of $50 per change in addition to any other cost increases (decreases) resulting from the change. Prior to the first day of the safari, Access 2 Tanzania will waive this change fee for the first change request. Starting on the first day of safari, no complimentary change requests will be allowed. For more information on the available plans or to enroll, click here or contact Travelex Insurance Services at 800-228-9792 and reference location number 23-0071. All booked clients of Access 2 Tanzania will automatically be enrolled for AMREF Flying Doctor’s insurance. This enrollment does not replace traditional travel insurance but augments your coverage for emergency transport from safari to Nairobi for onward medical evacuation. 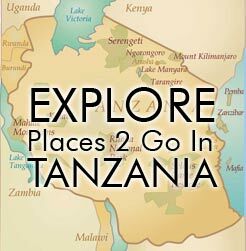 Access 2 Tanzania, LLC (A2T) acts only as an agent for the various independent suppliers that provide hotel accommodations, transportation, sightseeing, activities, or other services connected with its tours. Such services are subject to the terms and conditions of those suppliers. A2T and their respective employees, agents, representatives, and assigns accept no liability whatsoever for any injury, damage, loss, accident, delay, or any other incident which may be caused by the negligence, defect, default of any company or person in performing these services. Responsibility is not accepted for losses, injury, damages or expenses of any kind due to sickness, weather, strikes, hostilities, wars, terrorist acts, acts of nature, local laws or other such causes. All services and accommodations are subject to the laws and regulations of the country in which they are provided. A2T is not responsible for any baggage or personal effects of any individual participating in the tours/trips arranged by A2T. Individual travelers are responsible for purchasing a travel insurance policy, if desired, that can cover some of the expenses associated with the loss of luggage or personal effects. There will be no penalty. If the announcement comes more than 2 weeks prior to traveler’s first scheduled day in Tanzania, traveler will have until 2 weeks prior to the first scheduled day in Tanzania to make the decision to reschedule. If the announcement comes less than 2 weeks prior to traveler’s first scheduled day in Tanzania, traveler will have until the day prior to the first scheduled day in Tanzania to make the decision to reschedule. If the announcement comes while the traveler is already in Tanzania, traveler will have the option to cut the safari short and return home. The unused portion of the safari may be rebooked for a later date. A2T will consult with traveler to make the wisest decisions should traveler decide to continue with the itinerary. The itinerary must be rescheduled to start within 1 year of the announcement that Tanzania is Ebola-free. Should the traveler wish to reschedule later than 1 year there may be a nominal penalty because some of the accommodations are insisting on a 1 year limit. Traveler must make payments on the itinerary as already agreed to in this contract with the exception that as soon as a decision is made to rebook, further payments (if not already due) do not need to be made until the re-booked itinerary payments are scheduled.